Supply Chain Company is a firm providing auditing services, consultancy and training in supply chain and production. The company audits the processes in production and trade companies and prescribes what could be done better, how to do it better, how much would it take to do it after optimization. Post audit, they give guidance to the companies on how to overcome a difficult situation with their current resources. Usually, the companies invite the team at their places to implement the changes. Talking more about the current events at the company, Mrs. Pavlina Tsvetanova from Supply Chain Company added that the companies witnessed their expertise and asked them to train their staff. This is how Supply Chain Company decided to have training courses too where they coach managers and operational specialists on the best practices in supply chain and production. “We operate in a niche market but once we enter any company, it realizes bigger sales due to optimized supply chain. You know the salesman may be very skillful but if the people from supply chain or production do not deliver excellent product on time, the sales go down.” added Mrs. Pavlina. Talking about the challenges that they faced as consultants, she said that usually companies think that they have problems in the warehouse. But after the audit, it appears that the problems are in planning and ill designed processes. And this is where the services of Supply Chain Company come into picture. They enjoy every project rather than taking it as a challenge. There are situations when the suggested changes after the audit are resisted but with the help of the management these changes are gradually implemented. 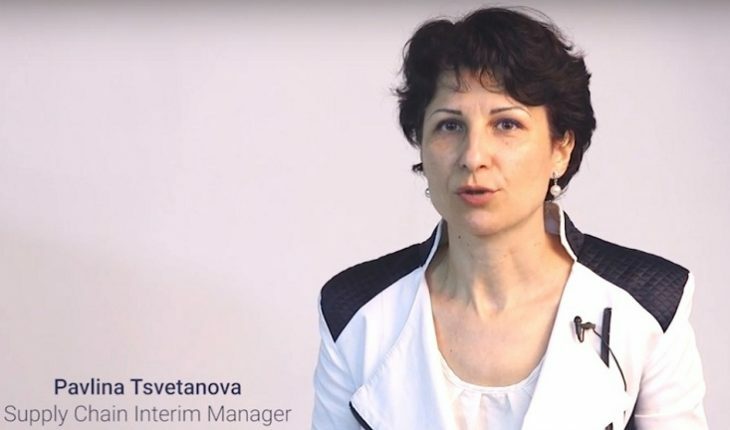 According to Mrs. Pavlina, what differentiates Supply Chain Company from other firms is the zeal and enthusiasm of working with the client rather than outsourcing the task to a different firm. On 19th and 20th of April, 2018 Supply Chain Company is going to organize a workshop in Theory of constraints delivered by Eli Schragenheim and Vlady Velikov. The workshop is based on the breakthrough ideas of Dr. Goldratt, the famous author of ‘The Goal’ and the developer of the Theory-of-Constraints (TOC). His ideas are followed all over the world for fast improvement of the overall business. The idea starts from focusing on achieving the goal: making more money now and in the future.